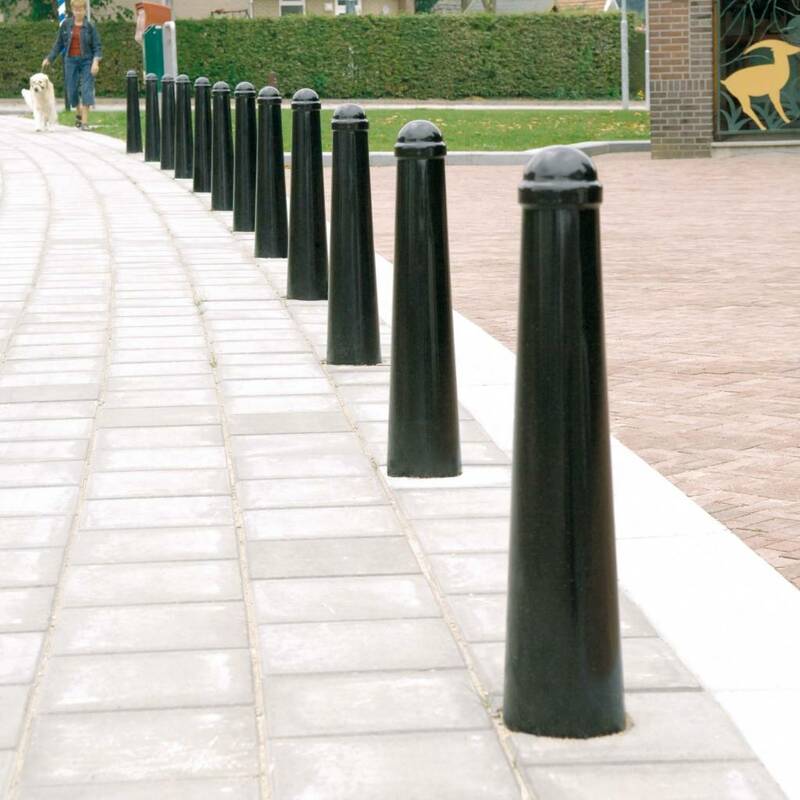 The removable version of the iconic Amsterdammertje street bollard comes with a base, locking system en key. Easy to install. Available in the colour of your choice. 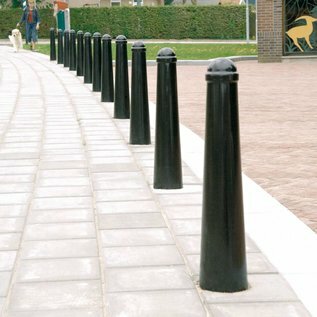 The classic Ammsterdammertje street bollard in a demountable version which allows you to temporarily allow access when needed. 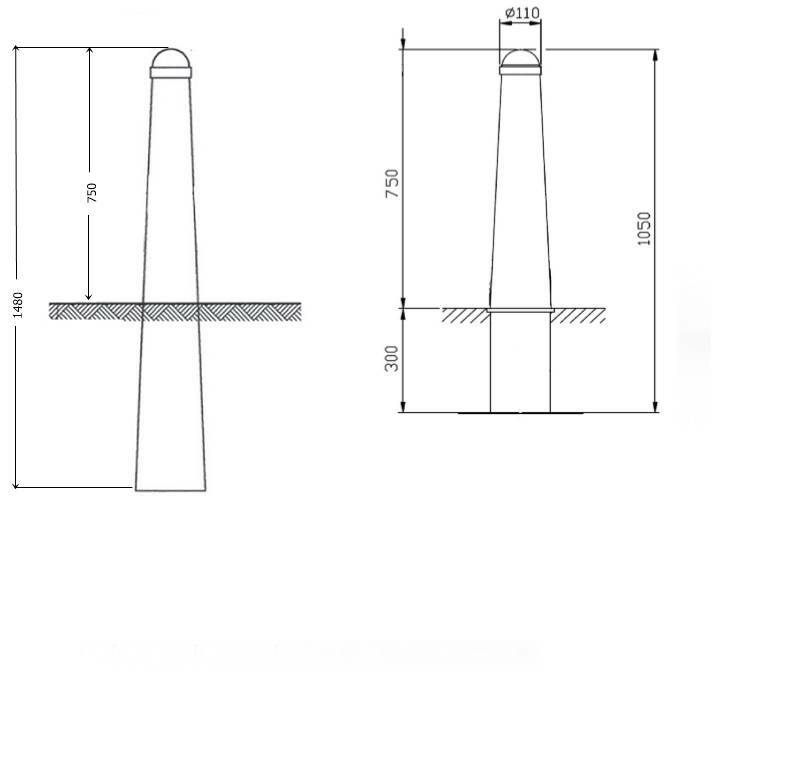 Its timeless design is identical to the fixed version ensuring a consistent visual aspect when one or more removable Amsterdammertje bollards are installed amongst fixed bollards. 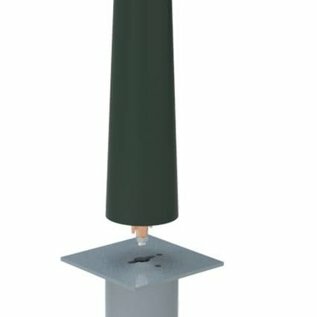 The demountable Amsterdammertje bollard comprises a base which is placed in the ground and secured with concrete. 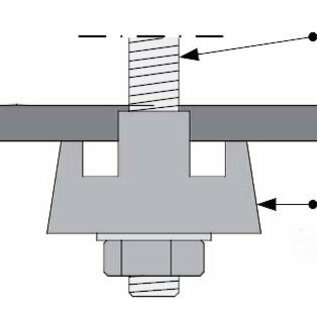 The locking system is mounted inside the Amsterdammertje bollard and consists of a threaded stainless steel rod and bronze security nut that releases upon impact in case of an accident. This system ensures that accidental damage is reduced to a minimum and that the base remains intact. 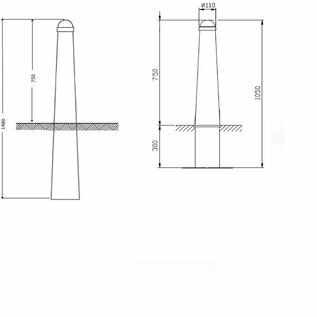 Normally it will be sufficient to replace the bronze security nut and/or the treaded rod to repair the Amsterdammertje bollard. When you order this product we will contact you to discuss the colour you would wish for your finish.